Here at Nicholson Yacht Charters and Services, we believe that great quality vacations should be affordable too – just like our private yacht vacations. 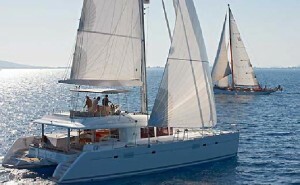 Yacht charters BVI is one of the biggest demands in our roster of available tour packages. You can rest assured that with Nicholson Yacht Charters and Services, you will be able to access our catamaran charters BVI packages at competitive rates compared to others. Make your private yacht vacations truly unforgettable when you plan it with us. You will be able to secure a great boat of your choice – and you will not be left without any options as we have all the types of boats there could possibly be. All of the boats we offer are compliant of the international standards for safety thus giving you peace of mind in your travel in the British Virgin Islands or the Caribbean. Your experience will be impeccably fantastic because we only deploy world class chefs, captains, crews and staff on board to make your vacation as outstanding as you expect it to be. Our team of catamaran charter crews, captains and chefs will be of service to you and provide you with the best experience you could ever possibly wish for. Feel free to discuss with us if you have any special arrangements that you want accomplished – such as surprise wedding proposals or a lavish announcement for a bun in the oven! Everything is possible with our team! We strive to make our clients happy and we wish for you to have the best time of your life while you’re on board with us during a yacht charter vacation in the BVI. As romantic and as exotic as the location is, we strive to make your experience as exquisite as possible. Your private yacht vacation will truly be one that you will remember for life. The British Virgin Islands is a perfect place to explore. With isolated islands and ruins that you thought you’d only see in movies – your vacation will truly be something worth capturing on film and deep within your heart. Be at one with nature as the wildlife of the British Virgin Islands surprises you with extinct flora, fauna and vast sea creatures that can only be found in the BVI. And because the wildlife is preserved with the strictest standards, the animals are not afraid to come close to humans thus giving you a close encounter with them. Make sure to bring your camera and loads of batteries so that you won’t miss a moment in this exciting adventure that is your private yacht vacation in the BVI! Make moments as you stroll in some of the finest powder white, milky sands of the BVI shores. In the islands, you will surely see and experience more than you ever thought you would. The tropical islands will truly make you feel that you are away from the hustle and bustle of the city life. Feel free to contact Nicholson Yacht Charters and Services now and book your tour now!